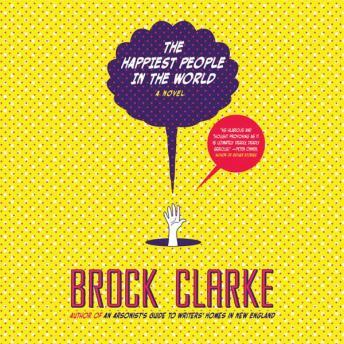 The absurdity and distortion of reality that made Brock Clarke's previous two novels so outrageously funny and yet so moving are on full display in his newest offering, The Happiest People in the World. Adapting the format of the political thriller and subverting it to tell his story of innocence corrupted, Clarke has delivered a biting and controversial satire on the American obsession with security and the conspiracies that threaten it.The Happiest People in the World is a spy novel like no other spy novel. It's also a send-up of American culture, and in particular the constant pursuit of individual happiness of the kind that is attainable only at the expense of others. In exploring the contradictions and pitfalls of our national obsession with both “freedom” and “security,” the novel shows us how we constantly subvert our own good intentions-as husbands and wives, as children and parents, as students and teachers, as believers in art and believers in God, as citizens of America and citizens of the world.